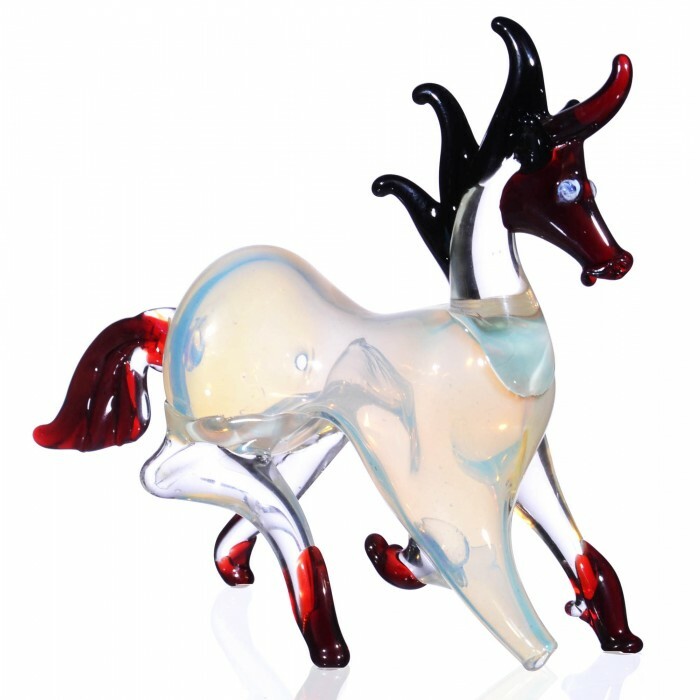 The Rufio Stallion - 6” Horse Shaped Glass Bowl -The Greatest Online Smoke Shop! 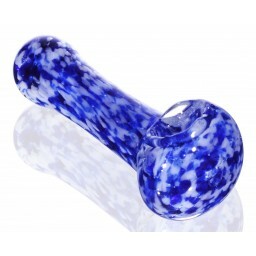 Beautiful horse glass pipe with blue fume glass and deep color accents. 6” long from the tail to the head. 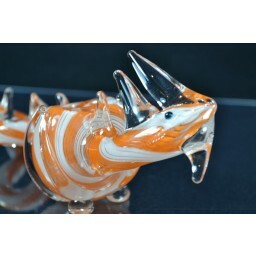 Doubles as a standing art piece and a glass bowl. 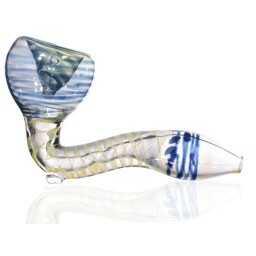 The bowl is on the bottom of the stomach, and the mouthpiece is at the near the front right leg. 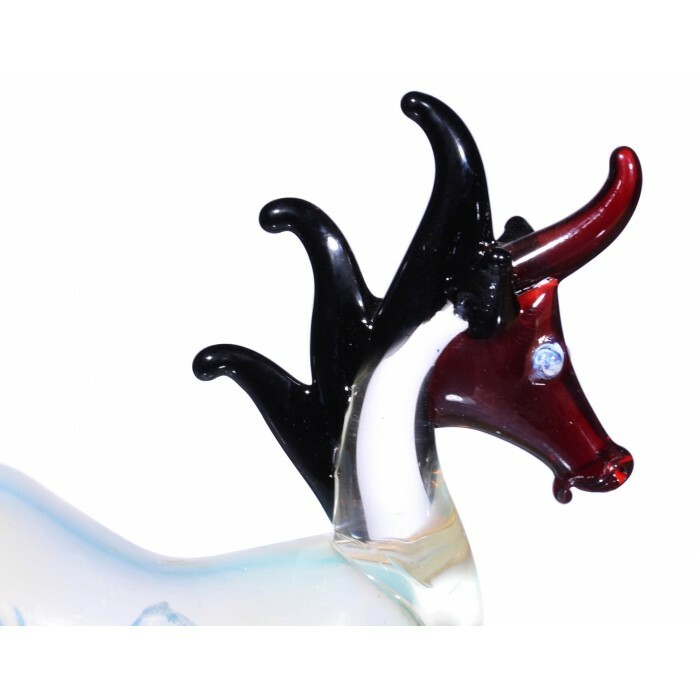 The Mohawk, the red tail, the blue eyes, this piece is simply a must add to any unique glass pipe collection. 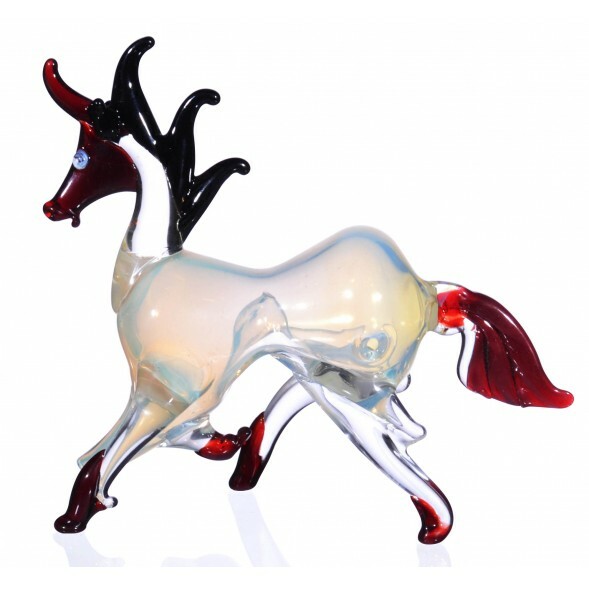 Standing upright, on its four legs, this glass piece lives as a work of art that adds character and style to any room. 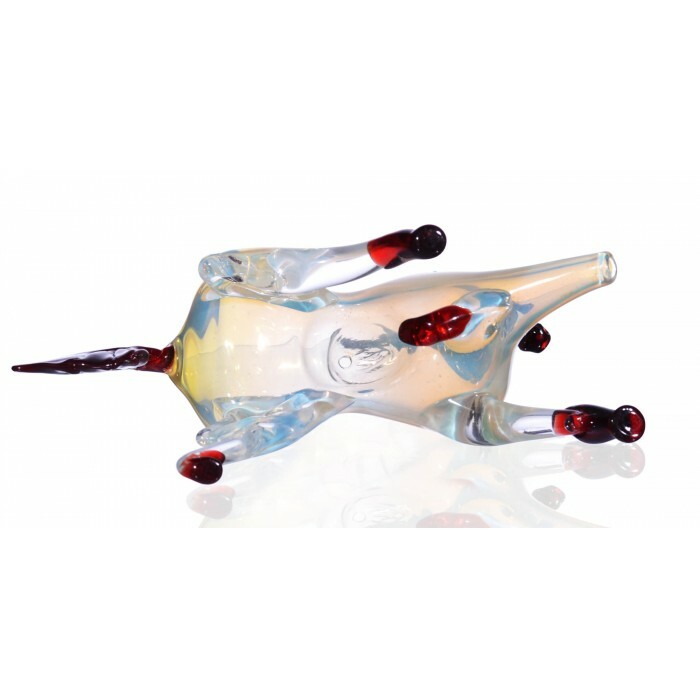 The piece is blown with amazing workmanship, the glass is carefully curved in key areas giving the RUFIO movement and life. If you look at the piece from the side, it looks like rufio is running with the wind blowing its hair back. The color scheme is another thing to marvel at. 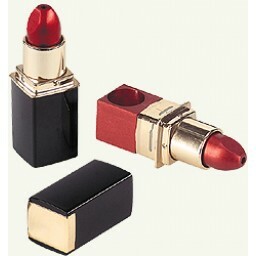 The designers used a combination of dark red and black, like on the face and mohawk, giving it a strong but attractive look. 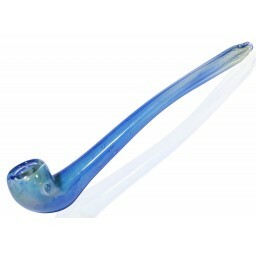 The body of the horse, or glass pipe, is made with blue fumed glass so the more you use this pipe to smoke the more the color will darken and change. 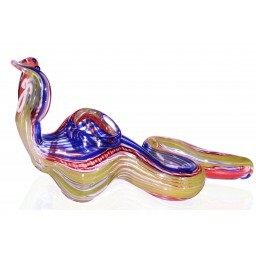 This is an amazing glass piece that combines a unique style with a unique design. 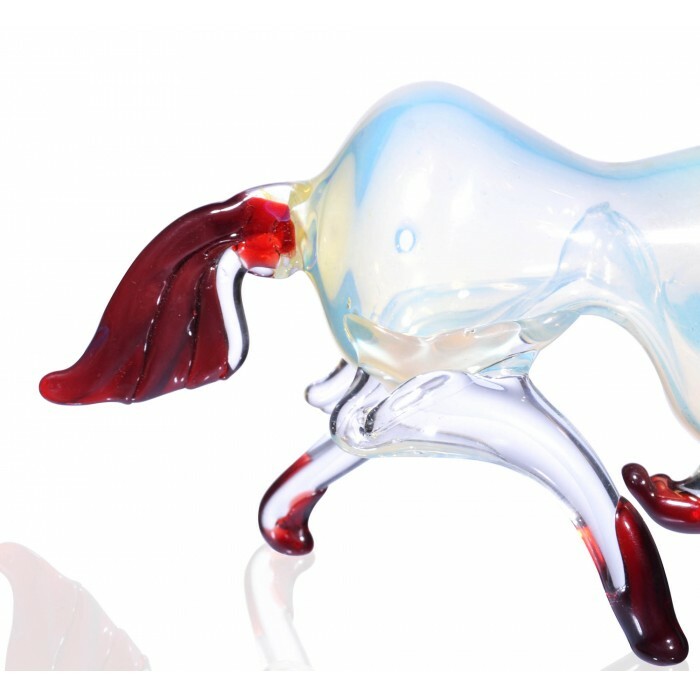 The glass bowl on this pipe is actually on the bottom of the horse’s stomach, so what you’ll do is turn the piece upside down to pack the bowl. 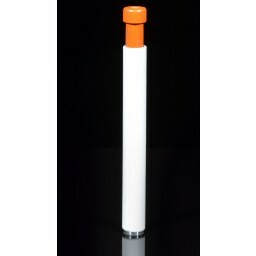 The mouthpiece comes out of the front-right leg as well.  This is a fun and unique piece that’ll keep you young, give it a ride for yourself and see.